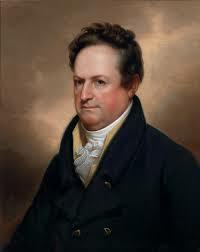 Today in Masonic History Dewitt Clinton passes away in 1828. Dewitt Clinton was an American politician. Clinton was born in New Windsor, Connecticut on March 2nd, 1769. He graduated from King's College, which is now Columbia University, in 1786. Shortly after graduating, Clinton went to work for his uncle, George Clinton who was the Governor of New York. In 1798, Clinton became a member of the New York State Assembly. He would serve twice in the New York State Senate, once from 1798 to 1802 and the second from 1806 to 1811. In 1802, Clinton was elected to the United States Senate. He would resign though in 1803 as the living conditions in the newly created Washington D.C. were making him unhappy. After leaving the United States Senate he would be appointed Mayor of New York City. He would serve as Mayor from 1803 to 1815. While he was Mayor he organized the Historical Society of New York and helped to re-organize the American Academy of Fine Arts. From 1810 to 1824, Clinton served on the Erie Canal Commission and was part of the initial team that surveyed the route for the canal. In 1811 in a special election, Clinton was elected Lieutenant Governor of New York. The following year, Clinton would run for President of the United States, narrowly loosing to James Madison. In 1817, the sitting Governor of New York at the time, Tompkins, was elected Vice President and resigned as Governor of New York. Clinton would win the special election to replace Tompkins. Clinton would serve as Governor until 1822. In 1824, a group of political enemies would have Clinton removed form the Erie Canal Commission. This angered the electorate and Clinton was nominated by the "People's Party". He would win the election and become Governor of New York again, serving another two terms. During his final term in office Clinton would be Governor during one of the more significant events in American Freemasonry and American politics. The Morgan Affair, which occurred 1826 in Batavia, New York, triggered anti-masonic sentiment in the United States. The events surrounding the Morgan Affair led to the creation of the first successful third party in United States politics, the Anti-Masonic party (sometimes called the Anti-Masonic Movement). Clinton passed away in office on February 11th, 1828. Clinton was raised in Holland Lodge No. 16 (now No. 8) on September 3, 1790. He would become the Grand Master of New York in 1806 serving until 1819. Clinton was also very active in York Rite in New York. He was Grand High Priest of the Grand Chapter of Royal Arch Masons (R.A.M.). In 1798 he became the General Grand High Priest of the General Grand Chapter of the United States. He was knighted in 1792 and served as Eminent Grand Commander of New York Commandery from 1814 to 1828. He was Grand Master of the Grand Encampment of the United States from 1818 to 1828.